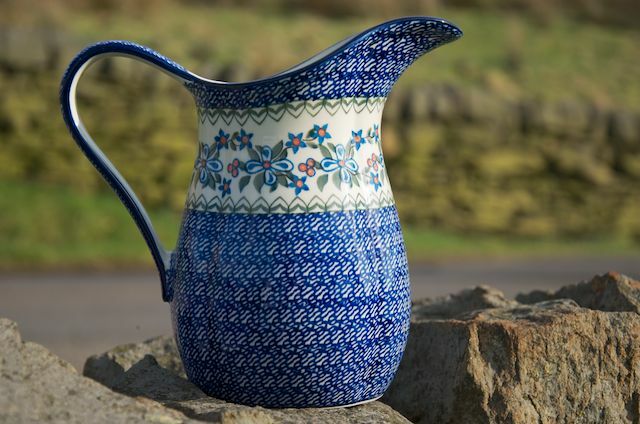 Large Jug decorated in Pink Berry and Blue design. Capacity 1 litre. Height 20cm x 10cm diameter (across base).